Commercial landscape maintenance requires specialized knowledge skills. We have the experience necessary to keep the outside of your building looking as great as possible, year round. Our goal is to provide you with the best possible lawn care and landscaping services. 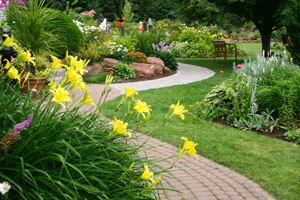 Contact Environmental Resources Group, Inc. to see why we should be your lawn and landscape professionals!